Delicious when peaches are in season and when they're not (buy frozen slices), this salsa is delicious served with fresh pita chips or as a tropical topping for grilled fish, chicken, or tacos. Add a scoop to your toddler's high chair for a fun and colorful finger food. It's a crowd pleaser! Plus, peaches pack a nutritious punch. Click here to read all about the health benefits of peaches, plus the best ways to pick 'em and store 'em! 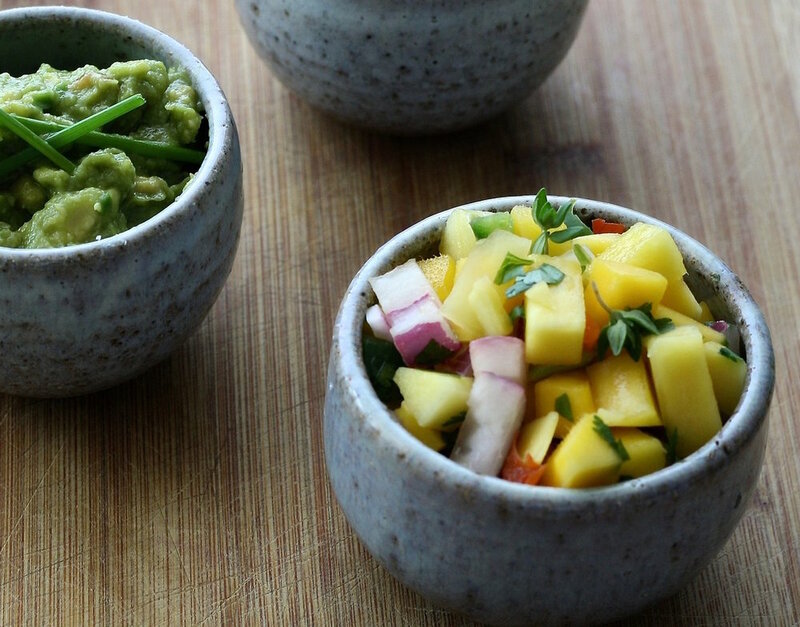 Easy Peasy Peach Salsa Ingredients 1 pound tomatoes, diced 1 bell pepper, seeded and finely diced 2 jalapenos, seeded and finely diced (optional) 1 medium red onion, finely diced 1½ pounds peaches, diced * ½ bunch cilantro, chopped 2 Tbsp. lime juice 1½ tsp salt, or to taste ¼ tsp freshly ground black pepper or to taste Directions: Combine all ingredients in a bowl and refrigerate for at least a half hour (or up to 2 days) to allow the flavors to develop. *I liked the slightly larger dice for peaches to give them more of the center stage in this salsa. No need to peel them. You won't notice the peels and the color is prettier with the peel on.